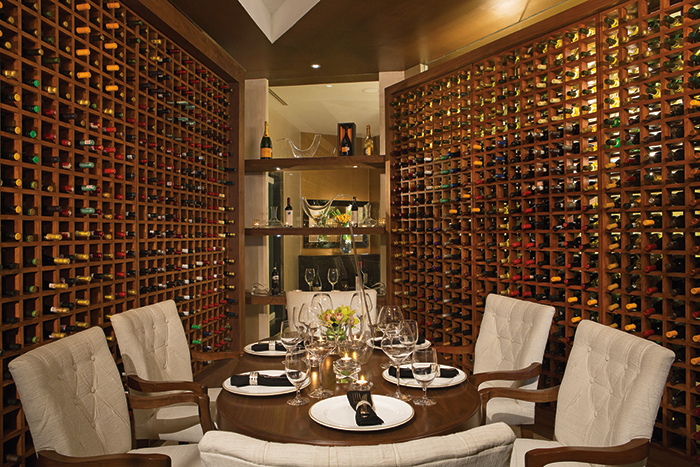 End Your Day with a Romantic Dinner in the Wine Cellar at Dreams Sands Cancun Resort & Spa! After relaxing on the beach or enjoying drinks poolside, an intimate dinner for two in our Wine Cellar at Dreams Sands Cancun Resort & Spa is the perfect way to end your day or celebrate a special occasion! The Wine Cellar experience includes an offering of delicious Mexican wines hand selected by our trained and knowledgeable wine professionals, as well as a 5-course meal that is sure to impress. The romantic ambiance, gourmet dining and vast wine selection sets the mood for a perfect evening with someone special. See below for a glimpse into the Wine Cellar dining experience featuring our famous sommeliers! A romantic table for two awaits you at Dreams Sands Cancun Resort & Spa! Contact your eCongierge today to make your reservation! Dreams La Romana Resort & Spa exudes romance, making it an ideal setting for destination weddings, honeymoons, anniversaries, or any romantic getaway. Say “I do” in an elegant seaside gazebo or on a private and secluded beach and toast to forever sipping cocktails poolside or at a romantic dinner for two on the beach. Newlywed bliss begins here. Take a look at our new romance video to get an idea of what a wedding or honeymoon would be like at our resort!